Soak the Foxtail millet minimum 20 to 30 minutes before cooking. Wash it once and clean the millet. Put the millet in a pressure cooker along with all the other ingredients and mix thoroughly. Now cover the cooker with lid and wait for the whistle. After the first whistle, minimise the flame and keep it for 8 more minutes. Then turn-off the stove. Open the lid after 10 minutes and mix the pongal once. 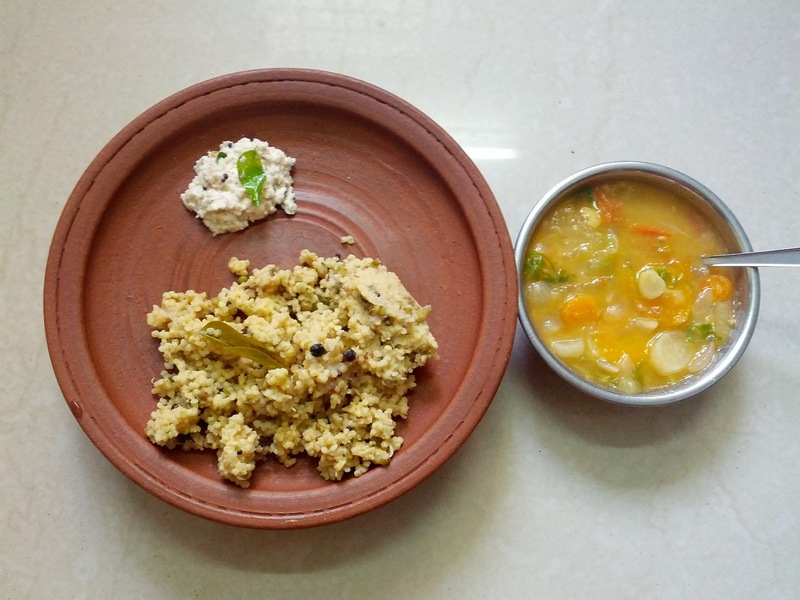 Foxtail millet pongal is now ready to eat. You may use any other vessel or clay cookware to make pongal instead of pressure cooker. Always, open the lid after 10 minutes, once the vessel is removed from stove. It helps the millet to reach the right consistency. If you would like the Pongal to look little mushy, add another 1/2 cup of water. 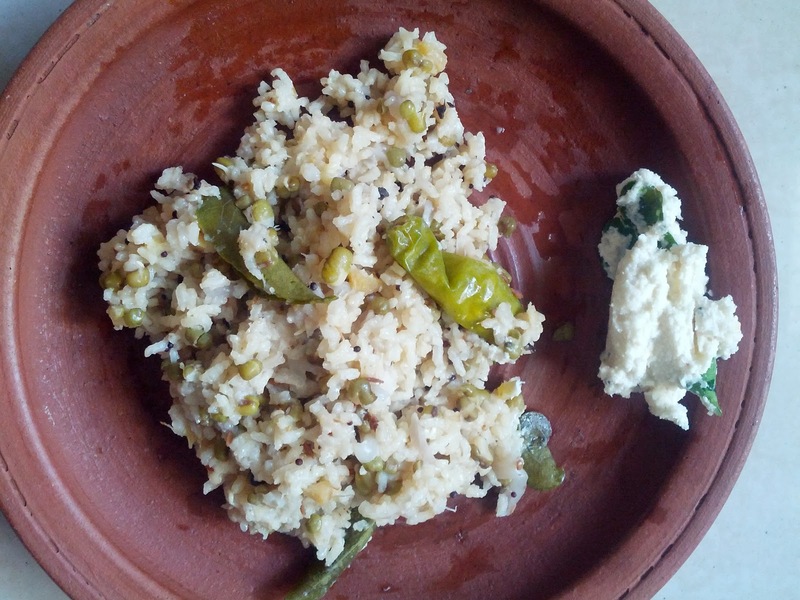 You can also use Kodo millet & Little millet to make hot Pongal. This Pongal is prepared based on satvik method. Hence I did not use oil / vanaspati / ghee. If you would like to add cashew nuts, dry roast a few and mix it finally with rice.